Walmart.com has a great deal on the LEGO City Harbor Marina. You can get this LEGO set for only $29 with $0.97 shipping guaranteed to arrive by Christmas if you order by 12/20. This set currently sells on Amazon.com for $50.99 and the price seems to be going up! Head over to Walmart.com and check out this great LEGO set and more. Here’s a great deal on Walmart.com for Legos! 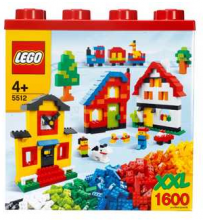 Reader Sarah just emailed me and told me you can get the 1600 Piece Lego Building Set for just $30! This is the same price that is in stores but now you can get it online! Shipping is only $0.97 or you can use Site to the Store for pick up and save on shipping! 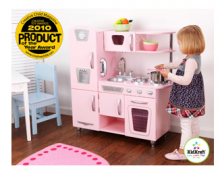 *HOT* White KidKraft Vintage Play Kitchen ONLY $99! It’s back! Hurry over to Walmart.com and grab this awesome KidKraft Vintage play kitchen. 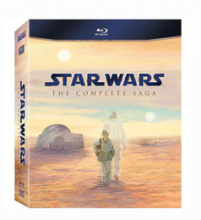 It’s available now for $99 reg. $149! Over the last week this has come and gone so don’t wait! This is one of the hottest deals I’ve seen if you are looking for an awesome play kitchen for your toddler. 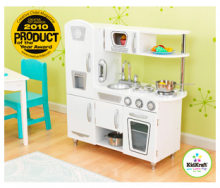 You can get the WHITE KidKraft Vintage Play Kitchen right now at Walmart.com for only $99! That is 35% off! This is only the white kitchen, but it’s such a great deal. You can dress it up with all the colorful kitchen accessories they have on sale too! Use “Site to Store” and shipping will be FREE too! Or if you’d like it shipped directly to you, standard shipping is less than $6. To give you an idea of what a good deal this is, this exact white kitchen is still selling or $167.99 on Amazon, and that’s on sale for $20 less than list price. So this sale linked above from Walmart really is a great deal! 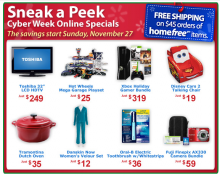 Walmartâ€™s Black Friday Deals available ONLINE! 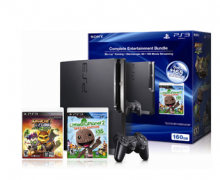 I noticed yesterday that Walmart.com had their PS3 bundle online at their Black Friday prices. Of course it sold out very quickly. After looking further I started seeing several other items that are in the ad. They haven’t released their full ad but all of the Black Friday deals will be available ONLINE too! You don’t have to go to the store at midnight to get the best deal. The list of Black Friday items is huge. Head over to Walmart.com and use the search box to find the items your looking for. They also have their ad online too. Stores Nov 23, 2011 in BlackFriday, holiday · Expired! The Black Friday ads are coming out now and it’s really important to start price matching before you head out to the stores this week. Companies like Amazon.com have made it even easier and have done the work for you. They are already dropping prices to match major retailers. They are also starting their deals this Monday instead of making you wait for the deals later in the week. Today Amazon.com dropped the prices of several items to match both the Best Buy and Walmart Black Friday ads. I’m sure we will be seeing a lot more of this later this week! Offers Nov 18, 2011 in Amazon, BestBuy, BlackFriday · Expired!